Register for New York City now to guarantee your place in class! Businesspeople everywhere have a rapidly shrinking tolerance for management error. They also demand real accountability for decisions and plans. And, everywhere, the competition for scarce funds is increasing. No surprise, many organizations now require business case support for project, product, investment, and capital acquisition proposals. Businesspeople today with proven expertise in building cases and managing risk are rare and in high demand. They know they have the advantage over professional colleagues and competitors in project management, product management, asset management, finance, strategic planning, corporate governance—and the job search. Join us in central Manhattan for the premier business case seminar "Business Case Master Class" at Times Square..
Master the Solution Matrix 6D Case Building FrameworkTM in three days of vital hands-on training. Learn to design, build, and deliver a professional quality business case. Know that your case will stand up to critical scrutiny from financial professionals, analysts, and skeptical managers. Master Class participants join more than 18,000 professionals on six continents who have completed the premier business case seminar. Download case-building books and software as soon as you register! Bring your current case-building project to class—leave with it 95% completed. Maximum class size for each session is 24 participants. Where You Learn Case Building Matters! Learn how to create business case results with cash flow projections, financial metrics, and tactical advice for actions and investments. 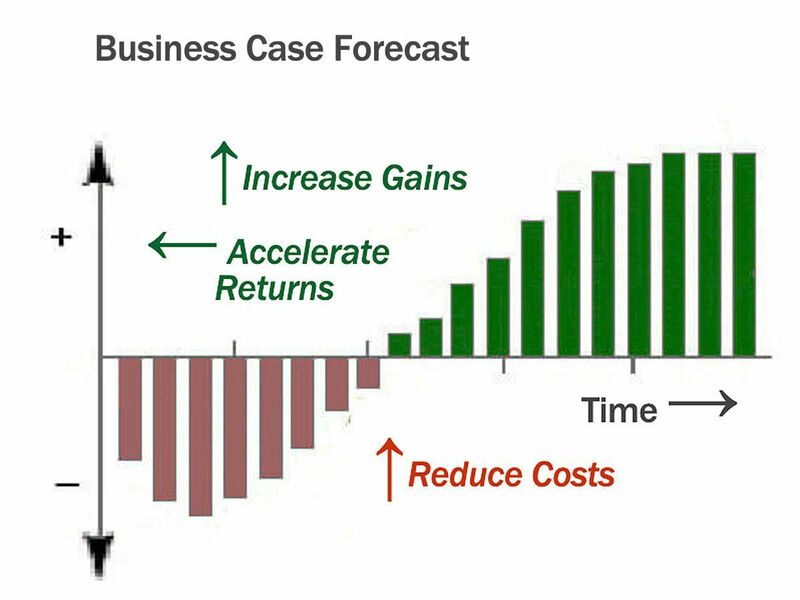 Turn results into decisive proof with a compelling business case rationale. Case-builders must be ready for the questions on everyone's mind: Is your proposal the best business decision? Will we really see these results? Nevertheless, most case building courses are blind to this need and cannot teach you how to answer such questions credibly. Case builder beware! In business today, real-world managers ask all the questions, and they expect answers they can trust. In the Master Class Seminar you will learn and apply the same principles of evidence and reasoning that bring decisive proof in the courtroom and the science lab. Our approach is unique and proven highly successful. Former participants worldwide report unmatched success meeting the full range of real-world business case information needs with the skills learned in the Business Case Master Class. Join 18,000 successful professionals who have completed Solution Matrix Ltd seminars. Product managers and product portfolio managers. Financial officers responsible for competency in their organizations. Decision makers and planners at all levels. Consultants and contractors working with government organizations. Sales professionals who "make the case" for sales proposals. Marketers who communicate business value for their solutions. Business Case Master Class is recognized and accredited by professional organizations in areas that include general management, business analysis, project management, product management, information technology, accounting, sales, marketing, and finance. Maximum class size for each Master Class is 24 participants. This size ensures that everyone has essential instructor attention and discussion time while benefitting from the experience and needs of classmates from other sectors, industries, and government. Solution Matrix seminars feature hands-on workshops with case-study examples that represent each participant's workplace. Many participants bring to the workshops real case projects they will deliver soon on the job. Seminar classes fill quickly. Register early to ensure your place in class! Participants in Solution Matrix seminars master the Solution Matrix 6D Framework. This framework is the same proven approach we have helped establish for companies and governments on six continents. The rationale that helps prove that a chosen action is the better business decision. Special requirements for the government, military or non-profit case. How to build-in credibility as you build the ciase. How to legitimize and value all business benefits—even the so-called "intangibles." Packaging and presenting case results for maximum impact. Monte Carlo simulation for asking "What If?" questions, measuring risk, and reducing forecast uncertainty. Dr. Marty J. Schmidt, President and Founder of Solution Matrix Ltd, leads the Master Class seminars. Dr Schmidt has twenty years business experience managing software development, international marketing, sales support, and management consulting on business issues. He is recognized internationally as an authority on cost/benefit analysis and business case development. Dr Schmidt also taught graduate and undergraduate statistics at the University of New Hampshire, is the author of a college textbook on statistics and often publishes on professional management and business issues. He holds the Ph.D. degree from Purdue University and the M.B.A. from Babson College. Business Case Master Class classroom training (3 days). Case-building books and software. Participants receive The Business Case Guide, Business Case Essentials, Financial Metrics Pro, Financial Modeling Pro, and the Business Case Templates package. Download your copies immediately when you register. Professional Education certificate by Solution Matrix Ltd. Registration orders process through PayPal, providing you with complete PayPal security, Buyer Protection, and privacy for your payment information. You do not need a PayPal account to pay by credit or debit card. Clicking "Register" brings up our online shopping cart page showing the seminar date, venue, and price. From there you can choose to cancel the order or place the order by checking out. Download Ebook and Software Resources Now! Build your own case in class. Building the Business Case Master Class seminars are held in the heart of Manhattan at the Times Square Hilton, 234 West 42nd Street. Building the Business case meets 9:00 to 5:00 with a one-hour lunch break on Wednesday and Thursday. Business Case Master Class meets Friday 9:00 to 5:00. Arrival by 8:45 each morning is requested. "Well done! As a former student, let me be candid, Dr Schmidt is a master of the Business Case. His 2-3 day workshops are truly unbeatable...highly recommended for any serious business advisor, analyst or consultant. I attended the Business Case Seminar with Marty (Solution Matrix) in London and am pleased to say that it was a very useful course for business case building and management. Marty has loads of experience and a great and efficient way of presenting the knowledge. Highly recommended. Iveta Kuijpers-Dimova, Client Services Director, Trans Europe Brands & Borders, Utrecht, Netherlands. Don't wait for the seminar date! Registration includes the premier business case Ebooks and software from our Master Case Builder Shop. Register online and download your Ebooks and Apps now! BC Essentials—The best selling case-building guide in print! Integrated Word, Excel, and PowerPoint Template system will guide you to successful case quickly and easily. Templates 2019—Sometimes you need a real business case! Modeling Pro—The Living Model Makes Your Case! Substitutions may be made at any time up to the start of the Business Case Master Class Seminar. If you register for one of our seminars, participate in the seminar, and and participate in one of our seminars, and are not completely satisfied with Building the Business Case Master Class, please let us know in writing within 15 days after your final scheduled class date you registered for, and request a 100% refund of your seminar fee. For more information, see our Customer Satisfaction Guarantee page.